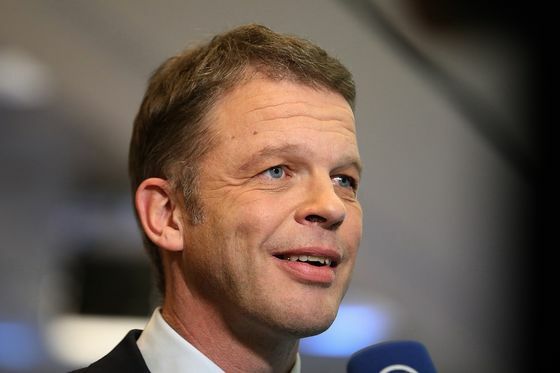 (Bloomberg) -- Deutsche Bank Chief Executive Officer Christian Sewing would probably stay on as CEO in case the lender takes over rival Commerzbank AG, people familiar with the matter said. The banks have discussed the possibility of Sewing leading the combined entity while Commerzbank CEO Martin Zielke will likely take on a new role as head of the retail unit, the people said, asking not to be identified discussing the private information. Deutsche Bank investment banking head Garth Ritchie would remain in his current post and Deutsche Bank Chairman Paul Achleitner would continue in the same role for the combined firm, at least for a transition phase, they said. No deal has been agreed, and the possible leadership structure may yet change, the people said. Representatives for Deutsche Bank and Commerzbank declined to comment on the personnel discussions, which were reported earlier by Der Spiegel. Germany’s two largest listed banks started formal talks about a month ago, emphasizing at the time that the outcome was open. Opposition to the idea has been increasing since, with labor unions at Commerzbank, fearing the loss of tens of thousands of jobs, said to seek a vote to end the talks. Politicians have distanced themselves from efforts by Finance Minister Olaf Scholz to broker a takeover and two key shareholders have expressed skepticism. Deutsche Bank’s investment banking division is vast compared with Commerzbank’s though the latter lender has a strong franchise among German mid-sized companies known as the Mittelstand. It’s also got a sizable retail business that has seen strong client growth over the past few years.